In the mid-1800s, Victorian quilters began a popular tradition of making signature quilts -- signed and quilted remembrances, to honor family members or friends. At a time when many loved ones moved away and seldom, if ever, returned home to see their families again, these quilts were precious keepsakes. They served as precious remembrances for those families who had only occasional letters to connect them with friends and relatives back home. 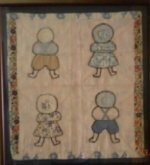 Many lonely pioneer women living out on isolated homesteads cherished their signature, or as they were frequently called, friendship quilt. Consequently, the special care these quilts received allowed many of them to survive today. For their owners, these quilts were reminders of times past when they lived among family and friends. As time passed, and loved ones were lost to illness or war, their names on a quilt became a even more precious. 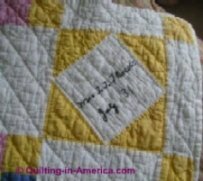 In its simplest form, a signature quilt is one that is constructed using a single pattern block with signatures of family or friends inked or embroidered on each block. They became particularly popular as gifts because they could be made easily from scraps so did not require a great deal of investment in materials. This elegant antique hand-quilted friendship quilt has signed squares with dates -- 1931. It was obviously treasured by the family because it is in magnificent condition. Since those early days, signature, or friendship, quilts have been given as gifts by families and friends for special occasions, such as, graduation, birthdays, retirement, anniversaries, and birth of babies. 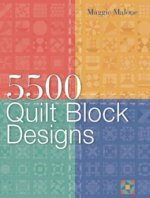 Twenty-first century quilters, with their ingenuity and flair for making use of contemporary materials and cultural elements, such as t-shirts, neck-ties, and photographs, have developed additional types of signature memory quilts. Album quilts, sometimes referred to as Sampler Album Quilts, date back to about the mid-1800s. They were typically more formal quilts, made up of several unique intricately pieced or appliquéd blocks. Included in the design of the block was a place for a name to be written or embroidered. These quilts were not made to be functional, rather their primary purpose was an expression of love and affection to the recipient. Album quilts were often given to brides upon their engagement or marriage, or to the couple as a wedding gift. Quilt blocks were made, signed, and gathered, then sewn into a quilt. These wedding quilts were made by friends and/or the members of both the bride's and groom's families. A popular variation was to have guests at the wedding sign already-constructed blocks, which were then later sewn together into a quilt for the happy couple. Often a Freedom Quilt was given to a son ready to leave home to start his life as an adult. Freedom Quilts were symbolic, to him as well as family and friends, of his readiness to accept the responsibilities and privileges of an independent man. When a respected member of the community, such as the minister, a doctor, or a favorite teacher, was to be honored, they might have been given a Presentation Quilt. Containing signatures of friends, acquaintances, and members of the community, these quilts were mementos of a special time, place, and people. I recently helped a friend with a modern variation of the Presentation Quilt. Working with young children in a Sunday school class, she had each child do some artwork on plain blocks of fabric. Each child's name was added to their respective block, and the blocks combined into a quilt to be presented to the teacher. This quilt will be a precious reminder of the teacher's time with the children, as well as a special experience for the children to have contributed to such a wonderful present. 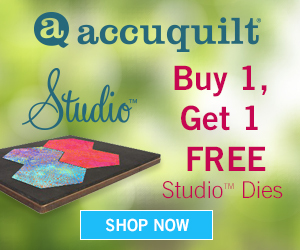 Fundraising Quilts were signature quilts were made specifically to raise money for a particular purpose, organization or charity, frequently a church. For a small contribution, an individual or family name would be applied to a block and added to the quilt. Old Fundraising Quilts are easily recognized now by the dozens or even hundreds of signatures on the quilt. Sometimes the signatures are the only design elements on the quilts, and other times the blocks have a pieced or applique design in addition to the signatures. Celebrity Quilts, where quilters sent letters and blank pieces of fabric to prominent members of a community, politicians, film stars, or other celebrities, and asked that they be signed and mailed back. 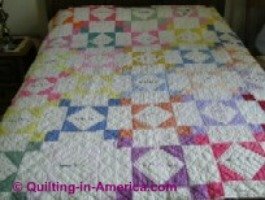 The signed blocks were gathered together and incorporated into a quilt. The quilts were used for many purposes, such as keepsakes or fund-raising. Quilts still provide a special medium for preserving memories, whether our own or someone else's. Modern technology and materials allow quilters to create masterpieces out of such unlikely materials as neck-ties or t-shirts, as well as traditional materials. Photographs and other documents can be transferred to fabric, allowing unlimited possibilities. 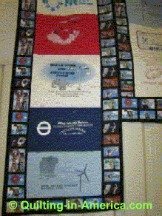 Some modern variations of signature quilts include Awareness quilts, such as those quilts made to build awareness and/or raise funds for cancer or other diseases, photo-memory quilts, Vaughn Nelson's Wind Power T-Shirt Tapestry at the American Wind Power Center, and t-shirt quilts.